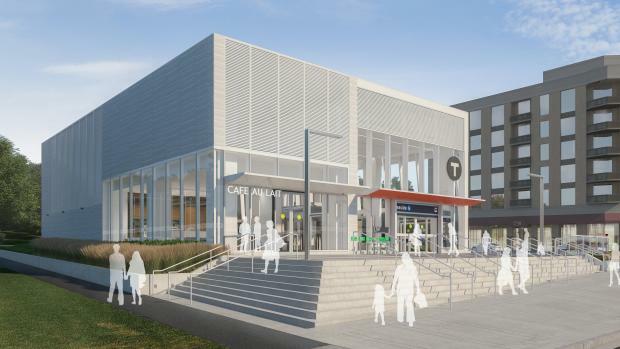 Leaside Station will be an underground Station located at the intersection of Bayview Avenue and Eglinton Avenue East. the secondary entrance at the northwest corner of Eglinton and Bayview Avenue. Retail spaces will be located at street level in the main entrance, and the station will have on-street connections to TTC buses. There will be a station plaza located at the main entrance, providing visual and pedestrian connections to Howard Talbot Park.